Monitor buildings. Control energy. Reduce costs. We provide British-designed energy solutions for your building portfolio; combining powerful hardware with intuitive cloud-based software for the most comprehensive energy management solution available to businesses today. It’s our job to make your energy visible, controllable and easy to manage. British Energy Saving Technology (BEST) are a UK-based manufacturer and supplier in the global energy monitoring and management industry. We specialise in producing advanced equipment that harnesses the power of Big Data, AI and IoT. We work with Facilities Managers, Property Managers, Utilities and Energy Brokers around the world to give them control over the energy profiles of the buildings they manage – saving energy, reducing spend and increased autonomy. You’re under increasing pressure to hit top-down energy reduction targets. You need to get control of inefficient building maintenance schedules. You need to accurately bill your tenants to avoid dispute and unfairness. You have limited energy data and what you have is difficult to analyse. As well as providing the hardware and software our clients need to monitor and manage energy consumption within their buildings, we also provide consultancy via a global network of expert partners. Fast on-site analysis using our proprietary mobile app. Accurate energy usage (and wastage) tracking with Eniscope. Real-time trend analysis in the cloud, via our software platform. Saving opportunity analysis alongside retrofit technologies. Comprehensive reporting and granular analysis to inform decision making. Verifying success and target setting. The keys to sustained performance. Interested in learning more about SMARRT? 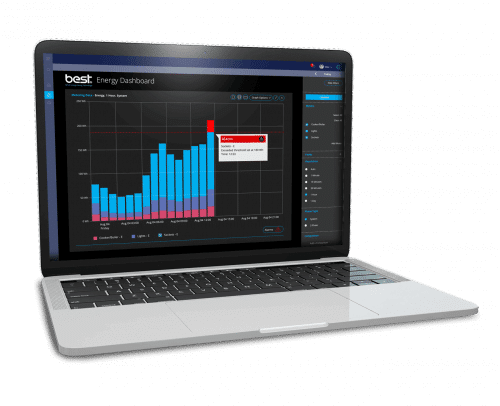 BEST’s flagship product – the Eniscope energy management system – is at the centre of a nationwide project of energy monitoring and reduction for global convenience store giants 7-Eleven. The project has been so successful that Eniscope has been recommended internally to the other countries in the region. Proof of Concepts (PoC) are underway in Norway and Sweden at the time of writing. 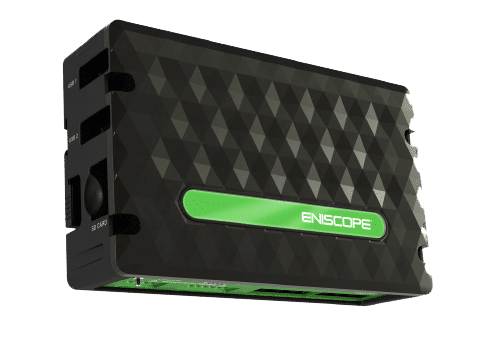 The cutting-edge device that allows it all to happen, Eniscope is a ‘best-in-class’ energy management system. Actually, it’s more than that, it is a gateway to data visibility and a huge step towards building energy optimisation. Using Big Data drawn from device and circuit level inputs, existing meters and IoT sensors, Eniscope provides a granular breakdown of exactly how, when and where you are using (and wasting) energy. That applies to a single building, or a full portfolio; with all that information ported to an intuitive software platform. And with standalone sensors available including temperature, occupancy, gas, water and much more – your data is always placed in context. Infinitely scalable solution. One dashboard, multiple sites. Expose energy-abusing resources and equipment. See how we helped these guys save time and money. BEST partner Minimise USA provide an interesting and rapidly evolving case study. The project fee is obviously striking, but perhaps even more impressive is the model being offered to the client - a US schools district - to make it happen. BEST Partner EnergyCloud, technical consultant to IBM, took the lead on an exciting new project at Jorge Chavés airport in Peru. The client - Peru’s largest airport - sought a solution to three key issues they were experiencing, for which they had struggled to find a single, end-to-end solution. BEST's partner in Greece, Enegreen, has been working with the country’s leading electrical retailer for more than three years. Taking a proactive approach, they are delivering up to 30% savings across the retail chain year after year. Enegreen offers their clients the opportunity to realise continued savings. BEST’s South African partner, EnergyRite has been working with Moral Foods, a local franchisee of Kentucky Fried Chicken (KFC). In a short space of time, they have generated impressive savings for two pilot stores. Read how a BEST partner saved KFC up to 40% on their energy consumption in Malaysia, using our flagship energy management product - Eniscope. Discover the details of this 100+ store roll-out in this case study. We were recently contacted by one of our US distributors, who claimed that a significant cost reduction had been achieved within just four weeks. BEST decided to send their Sales Director Ben Willcocks and Media Manager Steve Hill over to evaluate the results. Something strange was going down at County Confectionery, Cornwall’s premium chocolate and fudge makers. Important equipment was intermittently failing for no reason and the resulting maintenance and downtime was hurting the company. To manage something, you need to be able to measure it. That’s why the first step in our process is to make energy usage visible and accessible from a single, intuitive dashboard – however large your portfolio. For one building, or thousands. It’s in the news and in our best interests to develop responsibly. Would you like to know more about our solutions, and how we could help you manage your energy use effectively? We’re happy to answer any questions you may have over the phone, via email or over live chat.